Newbie: Advice on best dimmers that integrate with ST Hub for LED bulbs and don’t depend on the Samsung cloud? I know there are lots of topics about dimmers and bulbs. Many are more than a year old, so probably outdated. I’m looking for the most reliable ST Hub compatible smart switch that can dim typical LED bulbs (non-smart bulbs). I have a number of rooms where there are anywhere from 2 to 4 LED bulbs connected to one switch circuit. So the total load is very light, probably well under 50 watts. In most rooms there are two switches (3-way type), where one is a non-smart dimmer and other just a regular on/off switch. I’d like a smart switch that can be used “normally”, as well as controlled thru STSC app and lastly thru Alexa too. I have a bunch of GE dimmers and they work great. I also have a bunch of Lutron dimmers and they also work great. I only control some of the Lutron ones through Smartthings (you have to go to the marketplace to add them from the Lutron hub). I like the look of the lutron ones a little better for most places, but you can only add 50 to a lutron Hub and that gets used up pretty quickly depending on the size of your home and how many 3-way switches you have (each switch counts towards the 50). The other issue with Lutron is that they don’t work as repeaters, so you are somewhat limited in the square footage you can cover. You can get a single repeater, but that still only goes so far. I’m waiting on the Inovelli scene dimmers to come back in stock so I can try some of them as they look pretty cool. Start with the FAQ. We do try to keep those up-to-date. The discussion about light switches starts around post 40. As far as “most reliable” it’s hard to beat the Lutron switches. They are an engineering company with many patents and focus almost exclusively on lighting. But different things work for different people in terms of looks, budget, strengthening the network mesh, etc. so choice is good. A smart dimmer switch that doubles as a repeater to extend range of ST Hub sounds really nice. So Lutron has such a dimmer+repeater, but you are limited to one in your entire setup? Lutron uses their own proprietary network protocol, they are not actually part of your smartthings network. There is a cloud to cloud integration instead. Consequently theIr plug-in dimmer only repeats the Lutron messages, none of your other smartthings devices. The smartthings hub is a single box that contains a Z wave radio and a zigbee radio. So normally when people are talking about repeaters, they are talking about a repeater for one of those two protocols. See the following FAQ, and in particular read post 11, then go up to the top of the thread and read from the beginning. OK, I’ll scratch Lutron off the list, as it seems to make more sense to use devices that can repeat the Z wave or zigbee signals. Any recommendations for a brand that can repeat the Z’s? Almost all mains powered zigbee or Z wave devices repeat, with the caveat that zwave repeats only for zwave and zigbee repeats only for zigbee. So since they all repeat, most people choose their switches based on the switch features that they want, which can vary quite a bit. See the FAQ linked to above. At my own house, we use Lutron switches and use plug-in pocket sockets as repeaters for zigbee or zwave. The Lowe’s iris brand makes a pocket socket which is very unusual in that it can repeat for both zigbee and Zwave. This makes it a convenient choice as a repeater. You can buy it from either Amazon or Lowe’s, but since it’s often on sale at Lowe’s I think most people buy it there. But again, different people will make different choices. I would recommend Leviton Z-wave plus switches and dimmers. They seem to be pretty reliable. I was looking at Lutron, but the need for yet another hub/bridge was a minus for me. My previous experience with Leviton has been very good. I was using X10 for many years before switching to ST. All my Leviton X10 switches and dimmers worked flawlessly for 20+years; while most of my non-Leviton or X10 brand switches and dimmers died within a few years. Do note that Leviton does not offer extra features like 2-tap 3-tap event triggers. I’m pretty happy with mine. It needs a neutral wire, so if you got an older home, you should check. Edit: one of the main reasons I went with this brand is that I didn’t need to replace my face plate. I’ve got a couple 3 gang wall switches, and these fit right in with my other toggle style light switches. It does not look exactly like a normal light switch though, but close enough. To dimm manually, hold up or down on the toggle, otherwise toggle up or down to turn off and on. I just bought 6 more of the Leviton dimmers. They do have a way you can tell them minimum and maximum dim levels, which is great if you have LEDs that cannot dim below a certain level. For instance, my kitchen overhead light strobes if you go below 20%, so I told that dimmer minimum dim is 20%. No more strobes. They also allow you to tell them what kind of load there is on them (LED, CFL and incandescent–CFL mode does not dim). And, you can adjust fade in and out times. They are very flexible and installation is quite easy. I currently have 7 of them. The one thing that I did have a problem with, but it seems to have gone away, is them not replying back with ST but that was quite some time ago. 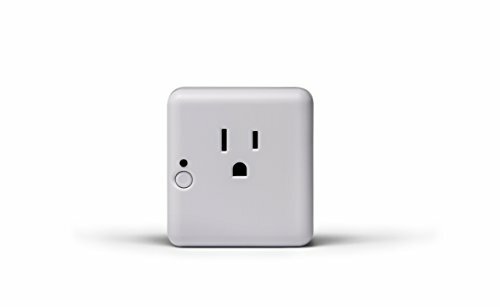 You would press off or on at the switch and they would not update their status in ST. You just shut off the breaker for a bit and turn it back on and the problem went away. This is a critical point, and the responses in this thread bear it out. Recommendations from others can be very valuable, but only if you understand why someone chose a particular device, why it’s working well for them (or not working well), and whether the conditions in their home are applicable to yours as well. For example, in my case Lutron caseta switches are ideal. I live in a relatively small apartment, so z-wave/zigbee repeaters aren’t all that necessary, and I have no neutral wires in my switch boxes. The cloud-to-cloud integration with ST introduces a bit of lag, but it’s still a reliable integration overall, and I have plenty of available Ethernet ports and power outlets to connect the Lutron bridge. Thanks to ALL for the advice! One other thought: are any of these dimmers able to run more/totally localized, rather than being dependent on Samsung’s cloud? My problem with Lutron Dimmers is simply their price. I would also avoid their CL dimmers after my Radio Ra 2 experience, unless you strictly follow their compatibility guide. The non-CL dimmers drive the price up even more, so that was basically a non starter for me. I am surprised no one has brought up the Homeseer HS-WD200+ Dimmers in this thread. They seem really cool. I am planning to use one at my entryway, so I can see a quick status of the home with the RGB lights. For rooms with fans, I was thinking about grabbing some of the Leviton dimmers, so the fan and light controls look different. I ultimately went with GE Dimmers, where I don’t need the status indicators or will primarily be using scene controls, just because the GE Dimmers seem so universally popular and are relatively cheap. I am currently in a push to get all my attic wiring done, so I haven’t taken a break to start getting the hub setup, so I can’t directly speak to how well the z-wave stuff works in that regard. I can say that I like the GE fan dimmer mechanism, where it gives the fan an initial kick to get it up to speed before dropping down to the set level. It seems to work really well. I also ordered a Leviton DD00R-DLZ, which is a matching dimmer “remote” that works with main dimmer to give 3-way control (2 switch locations). Will this Leviton dimmer require a special “device handler”, or does it work natively with the ST Hub? Lutron runs completely locally Except for the smartthings integration. Which means rules that you set up in smartthings or if you are using the smartthings app will require the Samsung cloud. But you can use them with their own app locally or with apples’s HomeKit Or a number of other integrations. This is one reason they’re popular: they are a built-in back up system for when the smartthings cloud is down (typically once or twice a month over the last 20 months, but sometimes more than that). The Leviton Dimmer is officially supported, and I believe it uses the generic Z wave dimmer device type handler, so that is eligible to run locally. However, it is very important to understand that smartthings itself is primarily a cloud-based platform. I can’t speak to the new “smartthings (Samsung connect) “ app or the new non-groovy platform in this regard (@wb70 or @jkp or @tgauchat May know more), but as far as smartthings classic, nothing runs locally except for the official smartlighting feature and some bits of smarthome monitor. Which means if you set up a “goodbye routine“ to lock your doors and turn off your Leviton switch when you leave the house, that won’t run locally even though the Leviton Dimmer itself is eligible to run locally. Anything done with webcore will not run locally. Anything done with a custom smartapp will not run locally. The mobile app will not be able to communicate with the hub at all unless the cloud is available– – so you won’t be able to toggle that Leviton switch on and off from your phone. And even a smartlighting automation will only run locally if all of the devices in it are eligible to run locally. Location.mode Changes will not run locally, so if you have your light switch set to come on in a routine/automation that includes a mode change to “night”, for example, that will not run locally. Also be aware that when the official supportbase article says “most the wave and zigbee devices that are supported will run locally”, That means devices that are on the official “works with smartthings” list and for which you are not using any custom device type handlers. If you’re basing your home automation on Samsung smartthings, you are going to be dependent on the Samsung cloud for most operations. If a locally operating system is essential to you, you should be looking at some of the competitors. So my Leviton dimmer might be able to run locally? Yes, maybe. It depends on the device handler and which smartapp you use to create an automation, as JD said. But Samsung may have other considerations in mind. They have several different product lines that they are trying to bring under the newest version of the “SmartThings” cloud. Plus there are any number of ways they could try to make use of the data they can collect about you when as much as possible runs through the cloud. More local thoughts: there’s actually kind of 2 local layers when it comes to smart switches: 1) the physical switch itself. 2) the switches presence on the local LAN. Who would want a switch that you couldn’t physically activate in a typical home scenario? That’s the lowest level of local. And who wouldn’t want to be able to control their smart switches locally, even if Internet or Samsung cloud is down? Of course, we would all want these local features in our home automation, right? I am also apprehensive about the cloud stuff, but there is always the option of switching to HomeAssistant, which can run everything locally all the time. I bought a z-wave USB stick to play around with this idea, even though I am planning to initialy try to get everything up and running with Smartthings. Homeseer also makes a hub that can do everything locally, but, from what I have read, device compatibility isn’t as good outside of their own brand.